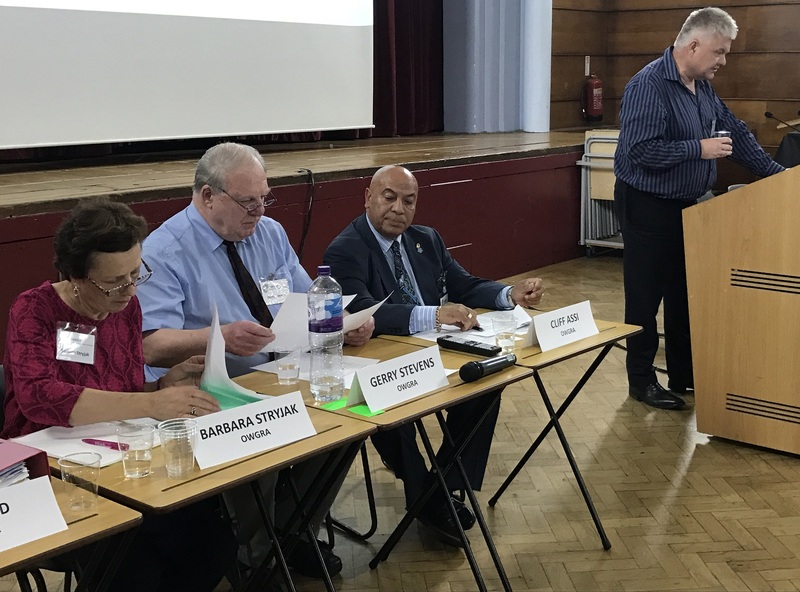 OWGRA held its Annual General Meeting at Isleworth & Syon Boys School on Wednesday 23rd May. Around 130 residents attended and a new Committee was elected for the coming year. 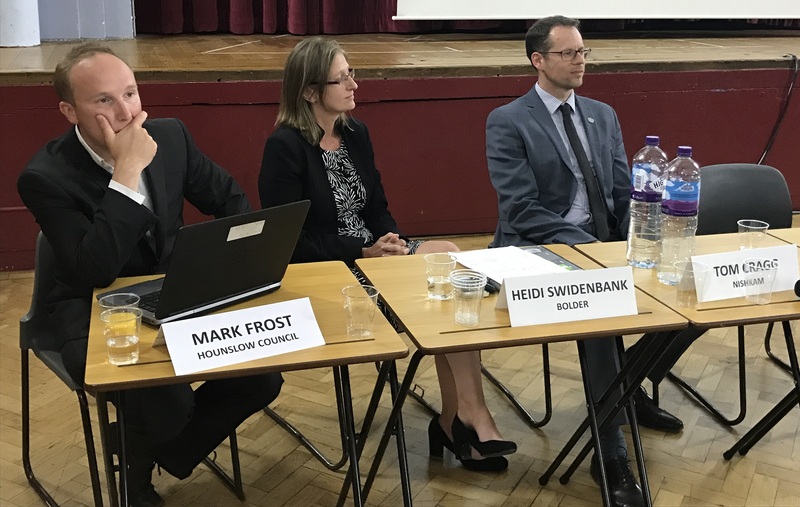 The AGM was completed in around half an hour to allow as much time as possible for presentations and discussions of local traffic issues related to two new schools in the ward (the Nishkam School and the Bolder Academy). 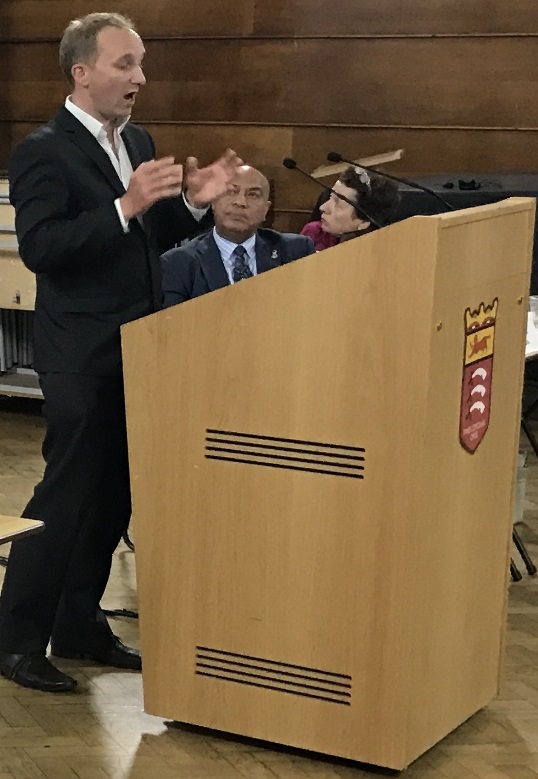 After the AGM, during the public meeting, we heard presentations from the heads of Nishkam and Bolder Schools on their Travel Plans and from Hounslow Council on the results of the recent consultation on the plans to cope with potential traffic problems when the schools open. The presentations overran and we had insufficient time to take all the questions that residents wanted to ask. We hope that a follow-up meeting will be arranged shortly. Presentation slides for the above talk. Heidi Swidenbank’s presentation for the Bolder Academy. Consultation document issued by the Council in connection with the above talk. Ian Speed presenting his treasurer’s report. Contrary to rumour, Mark Frost did not lead the audience in a community sing song.